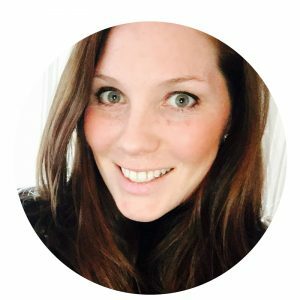 “Mommy play a game with me!’ I hear this phrase often from my 2 and 3 year olds. They love the practice in turn-taking and sharing, and they love to win. 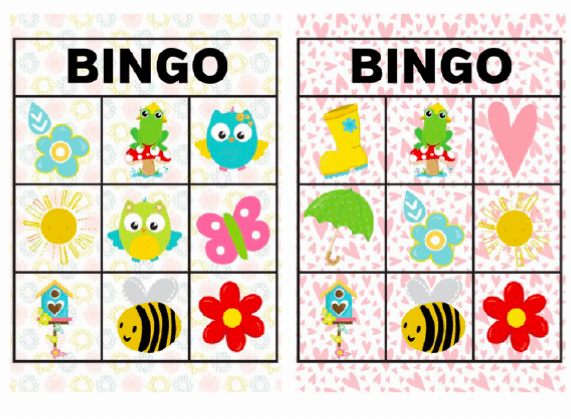 These Spring-themed printable games are great for vocabulary building and social skill practice! 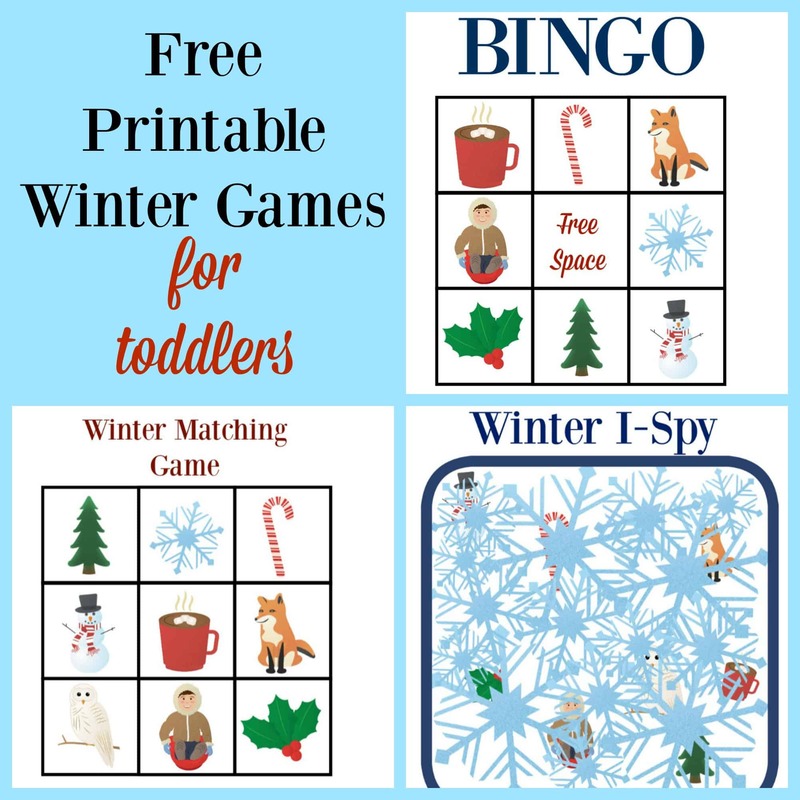 To download the printable games, you need access to the Exclusive Content page of this site where I have tons of freebies and goodies for you! If you already have your password, hear over there now. Need the password? Sign up below and get it right away! Yes I want to access the FREE content! 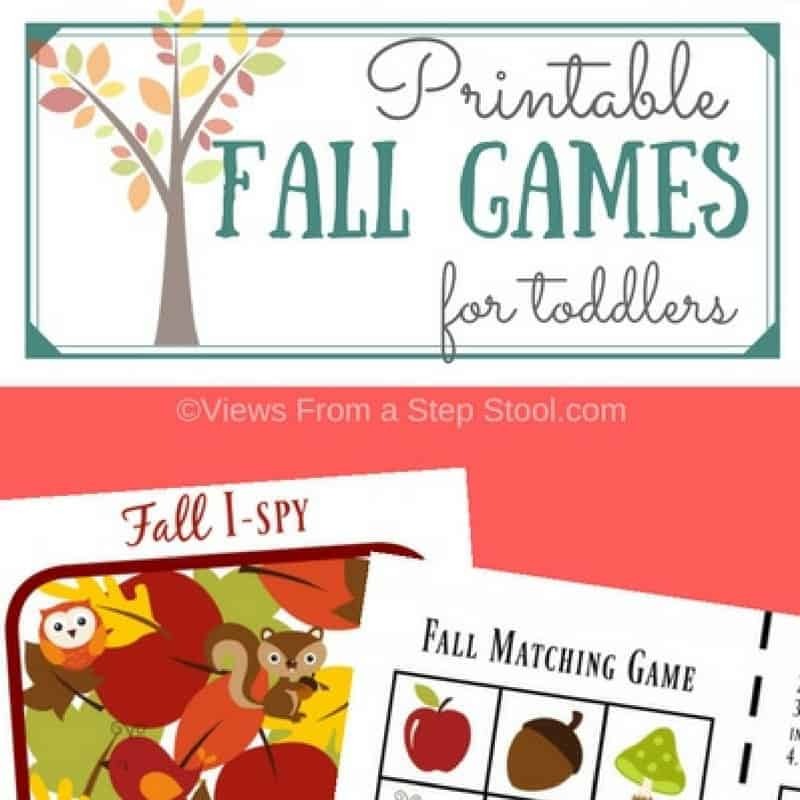 What’s included in the printable games? Cut apart all of the playing cards and lay face-down on a table. 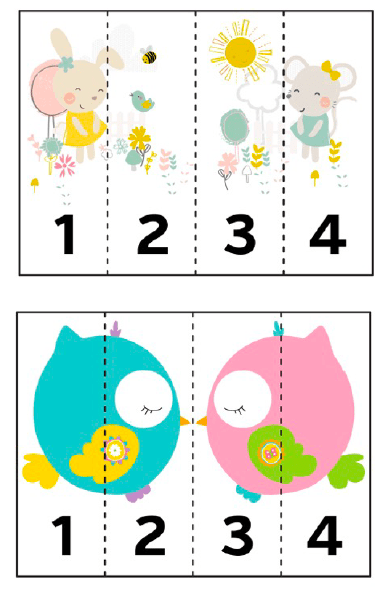 The children can take turns flipping two cards over at a time, looking for a match. 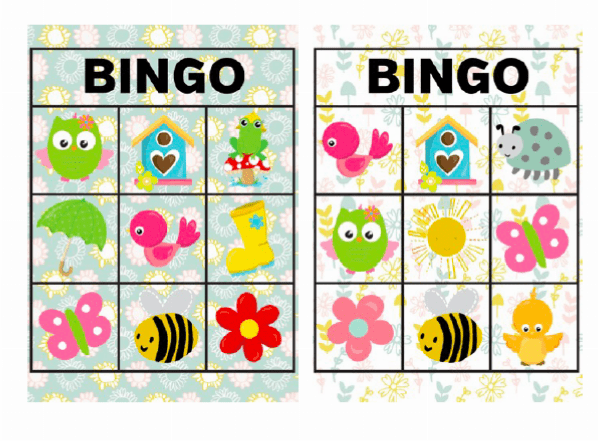 For younger children, leave one sheet in tact and use it as a puzzle. Kids can to this on their own or with the help of a friend! 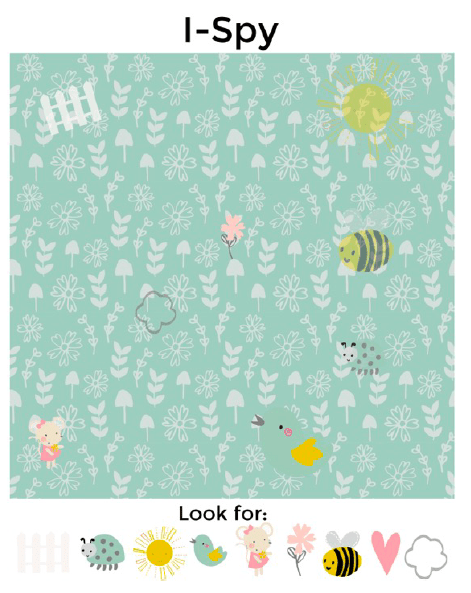 Look for the hidden pictures on the page. Use a laminator and dry erase markers to make do it over and over again! 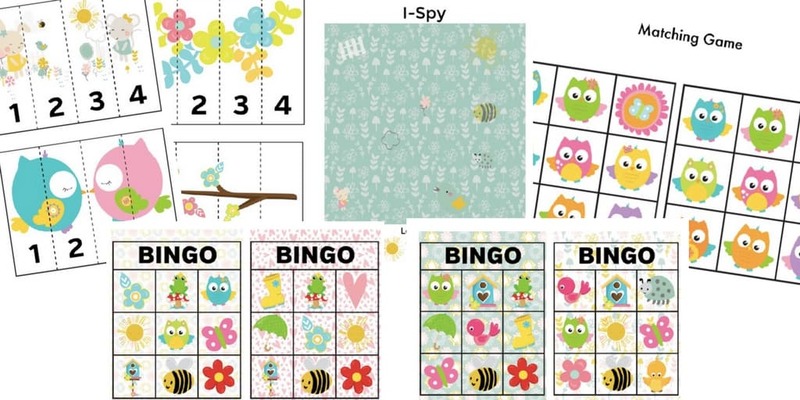 Print and cut apart the puzzles. 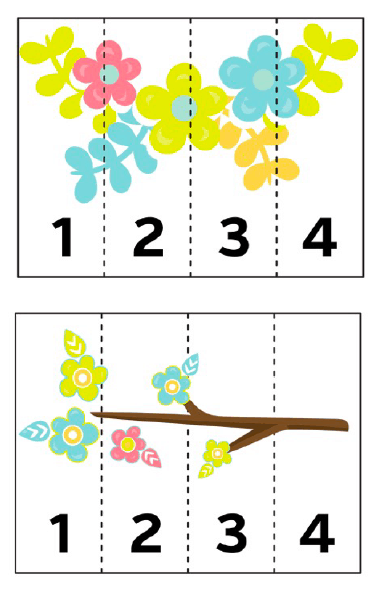 Kids can use the numbers to help them solve the puzzles. 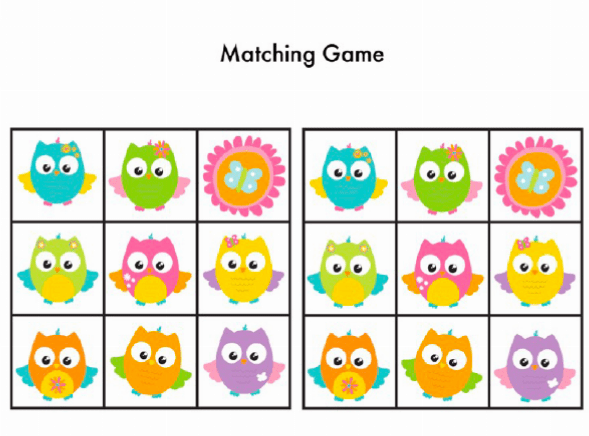 For younger kids, set out 4 pieces to one puzzle at a time. With older children, mix up all of the puzzle pieces and let kids work on multiple puzzles at the same time, sorting the pieces. 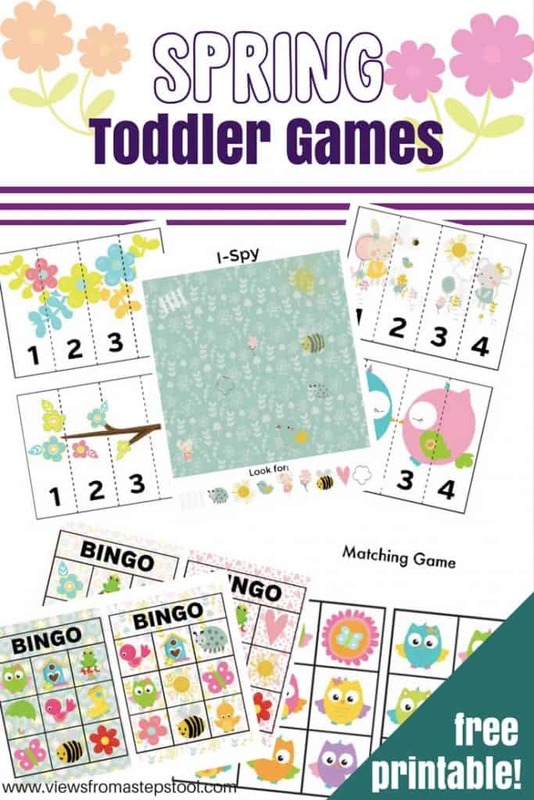 Enjoy learning and playing with these printable games!